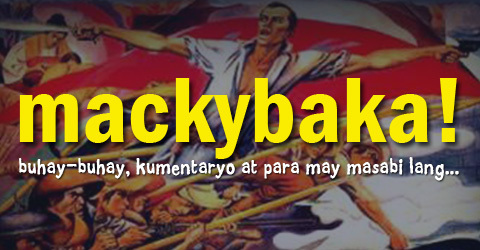 Election looms inside COMELEC | mackybaka! There’s an election coming up, and the Commission on Elections (COMELEC) is not the one conducting it, but the Labor Department’s Bureau of Labor Relations (BLR). Last January 26, 2015, the BLR issued an order that a Certification Election be conducted among the rank and file employees of the COMELEC under the supervision of the Bureau. The BLR order came after the COMELEC Employees’ Union (COMELEC-EU) filed a Petition for Certification Election before the Bureau for the purpose of finally determining the sole and exclusive negotiating agent of all COMELEC rank and file employees. The COMELEC-EU filed the petition in its bid to represent in collective negotiations more than 4,500 employees of the COMELEC nationwide. It averred that despite the existence of three (3) employees’ associations in the COMELEC, no collective negotiation agreement (CNA) has been forged for the benefit of its employees. Thus, since 2012, the COMELEC-EU has been organizing all over the country to gather the support of rank and file employees with the end in view of coming up with a draft CNA Proposal for the Management. Executive Order 180, which outlines the rules governing the right to organize of public sector employees, states that an accredited public sector union or association may enter into collective negotiation with Management for terms and conditions of employment or improvements thereto. A plethora of economic and non-economic benefits may be negotiated except increases in salary, allowances and travel expenses that are specifically provided for by law. But because there is no accredited employees’ organization in the COMELEC, its rank and file employees has never reaped the benefits they are entitled to in collective negotiations. In its order, the BLR said 4,538 rank and file permanent and casual (plantilla) employees with salary grades 1-24 may participate in the Certification Election. They will be voting for the following organizations, the COMELEC-EU and the Alliance of COMELEC Employees in Service (ACES) to represent them in collective negotiations. Employees also have the option, NO UNION, should they choose not to be represented by any employee organization. An Election Officer was also designated by the BLR to facilitate the pre-election conference and conduct the election. The winner in the Certification Election shall be granted automatic accreditation by the Civil Service Commission, thus entitling it to enter into collective negotiation with Management. This is the first time workers of the COMELEC nationwide will be trooping to the polls to elect the employee organization of their choice. But in this election, COMELEC employees will no longer be at the helm. It now belongs to the DOLE-BLR. All rank and file employees of the COMELEC are therefore enjoined to participate in the upcoming Certification Election. It is high time that we unite all employees into one organization in order to fully realize the lawful benefits that we haven’t been enjoying for the longest time. 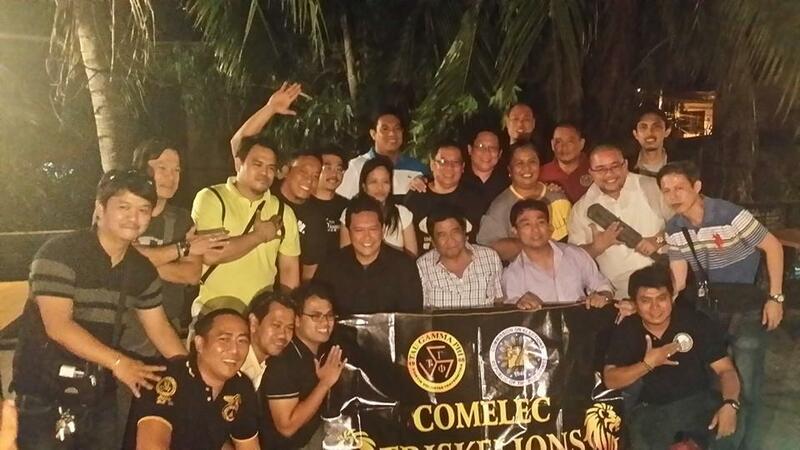 Shout outs to the newly formed association, COMELEC TRISKELION. They had a successful gathering last January 30, 2015 at Bahay na Tisa in Malolos City, Bulacan. In the said meeting, the election of COMELEC Region III Director Atty. Temie Lambino as Chairman of the COMELEC TRISKELION was upheld. Meanwhile, COMELEC Region V Director Atty. Romeo Fortes was unanimously elected by the members gathered as Chairman Emeritus. Dir. Fortes was a Founding Father of the Tau Gamma Phi Triskelions’ Grand Fraternity. A Grand Salute to all my fraternal brothers! Mabuhay!